JP Distribution has announced two new straps from BlackRapid. Designed specifically for left-handed photographers, the BlackRapid RS-Sport L and RS-Sport 2 L each feature an integrated underarm stabiliser that holds the shoulder pad in position on the right shoulder. Priced at £75, the R-Strap is worn diagonally across the torso from right shoulder to left hip, and adjusts to fit most photographers. JP Distribution is pleased to announce two new straps from award winning manufacturer BlackRapid. The BlackRapid RS-Sport L and RS-Sport 2 L have been designed for the active left-handed photographer. The integrated underarm stabiliser holds the shoulder pad in position on the right shoulder. The perfect accessory for the photographer who goes climbing a rock face, skiing down a glacier, or riding a mountain bike. The front has a red R-label, expanding BlackRapid’s Adventure Line. 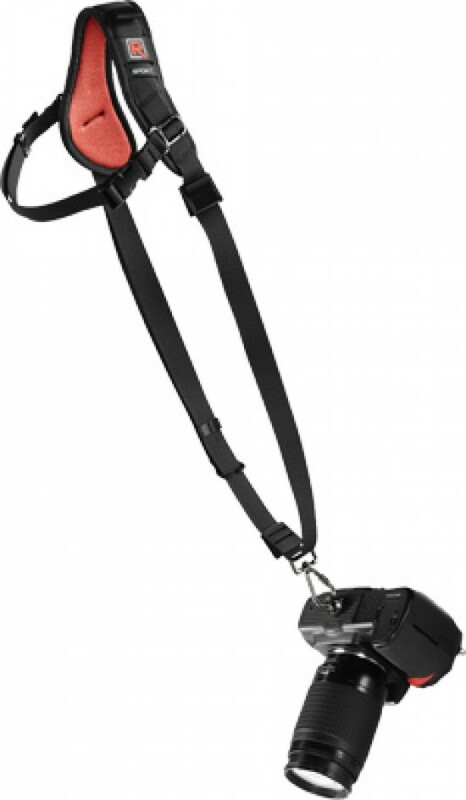 The R-Strap is worn diagonally across the torso from right shoulder to left hip, and adjusts to fit most photographers.